Scientists are one step closer to achieving gender parity, at least as far as birth control is concerned. While there are currently several contraceptive options targeted at women, there are only two for men – condoms and vasectomies. The good news is that there are various reversible male birth control prototypes currently undergoing clinical trials. And the latest, a male oral contraceptive called dimethandrolone undecanoate (DMAU), appears to be safe and effective when taken daily for a month. The results of a recent study were presented by researchers at ENDO 2018, the Endocrine Society’s 100th annual meeting in Chicago, on Sunday. 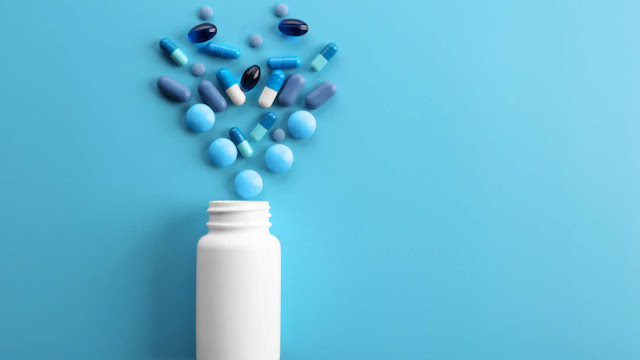 "These promising results are unprecedented in the development of a prototype male pill," Stephanie Page, professor of medicine at the University of Washington, said in a statement. Eighty-three men aged 18 to 50 completed the study, which tested the effects of different doses (100, 200, and 400 milligrams) and formulations inside capsules (castor oil and powder) of DMAU. The men took the contraceptive or a placebo once a day for 28 days with food. At 100 milligrams, the contraceptive was comparable to effective male contraception in long-term trials, Page said. At 400 milligrams, it produced “marked suppression” of testosterone levels and two other hormones necessary for sperm production. So, how does it work? The drug combines the activity of a male hormone (or androgen) such as testosterone with synthetic progesterone. The pill also contains a long-chain fatty acid called undecanoate, which slows the breakdown of the testosterone so that it remains effective all day in contrast to older editions. These cleared the body too quickly and would, therefore, have required at least two doses daily to make it as a viable form of birth control. As for any negative side effects, the volunteers did show signs of weight gain and a decrease in good cholesterol but these were mild. All passed safety tests including those suggestive of liver and kidney health, a hurdle previous attempts at male contraceptives have failed to meet. "Despite having low levels of circulating testosterone, very few subjects reported symptoms consistent with testosterone deficiency or excess," Page said. This is excellent news. Previous studies on male birth control have been cut short, not because they were ineffective but because they may have produced side effects such as depression, changes in libido, and acne. All of which, incidentally, happen to be well-known side effects of female birth control. While the results so far are promising, the next step is to see how DMAU stacks up efficacy and health-wise when taken on a continuing basis. According to Page, longer-term studies are already taking place.